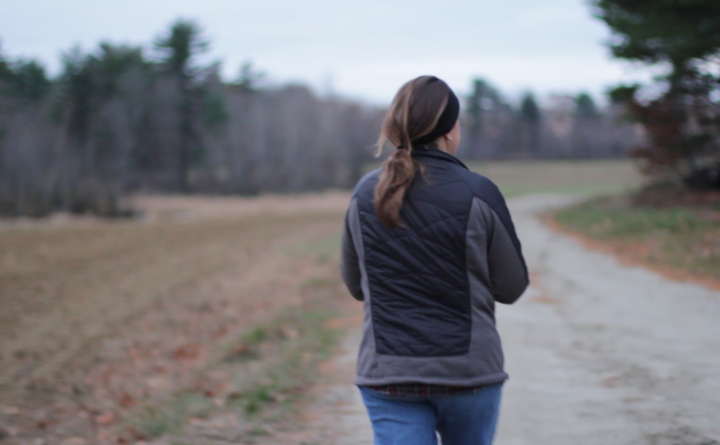 A still from the short documentary "The Growth of Whiting," about Whiting Farm in Auburn, which will be screened at the upcoming Maine International Film Festival in Waterville. When the Whiting Farm in Auburn closed six years ago, it seemed as if the more than 70-year tradition of farming on the 128-acre parcel of land was likely to be lost forever to development. But that’s not what happened. At the end of 2014, the John F. Murphy Homes Inc., an Auburn-based nonprofit organization that serves people with physical and intellectual disabilities, stepped in to purchase the property from farmer Elmer Whiting. And after two years of lying fallow, the farm started to come alive once again. “We’re really busy here now,” Kim Finnerty, Whiting Farm director, said Thursday. That rebirth is showcased in a short film, “The Growth of Whiting,” that will be shown at the upcoming Maine International Film Festival in Waterville, scheduled for July 13-22. The five-minute documentary was made by Colby College students Dylan Shaw, Jenna DeFrancisco and James Lindberg. The trio took a documentary production class last fall and were tasked with finding a Maine creator to learn more about. When they learned about Whiting Farm, they spent two autumn days there getting hours of footage. One of the elements of Whiting Farm that the group found most fascinating is the innovative education work that happens there. It’s a four-season farm, with thousands of flowers growing in the farm’s five commercial greenhouses and vegetables growing in the fields. But it’s also an educational farm. There are homesteading classes, demonstrations and activities such as yoga in the greenhouses that happen throughout the year. Whiting Farm also serves as a classroom for children with autism from the Margaret Murphy Centers for Children, part of the John F. Murphy Homes. They go to the farm to learn life and volunteer skills, and this is where the young filmmakers decided to focus their lens. Editing six or seven hours of footage into a five-minute film wasn’t easy, he said. They worked on paring down the story they wanted to tell so that the viewer could best understand it. Karen Young, the short film programmer at the film festival, agreed. Every year, the festival offers a Maine program of shorts, which are well-attended and “wildly fun,” she said, and every year Colby College students send selections for consideration. “It’s very emotionally engaging, which is difficult to pull off in a documentary. I thought it was a very mature approach. The music was good, the cinematography was good. The subject matter was something I knew very little about. It takes you out of yourself a little bit,” Young said about the documentary. Mike Perreault, the new executive director of the film festival, said that featuring works from young filmmakers and Maine filmmakers is very important to him. For Finnerty, she hopes that “The Growth of Whiting” will help let more people know that the farm is back in business. More than that, though, she thought the Colby College filmmakers did an excellent job with the documentary. “The Growth of Whiting” will be screened during Maine Shorts at the Maine International Film Festival, which begins at 3:30 p.m. Saturday, July 14 and 3:30 p.m. Saturday, July 21. Both showings will be at the Waterville Opera House.